This fine view of 15 November 2009 shows C22 at the Tasmanian Transport Museum on its first passenger trip since overhaul. C22 was officially relaunched in April 2010. This photo was contributed by Stuart Dix. This Beyer Peacock design found buyers in many Australian states and similar locomotives were supplied to the South Australian Railways as their Y-class, and the West Australian Government Railways as their G-class. Private operators ordered yet more examples, including the Silverton Tramway Y-class. 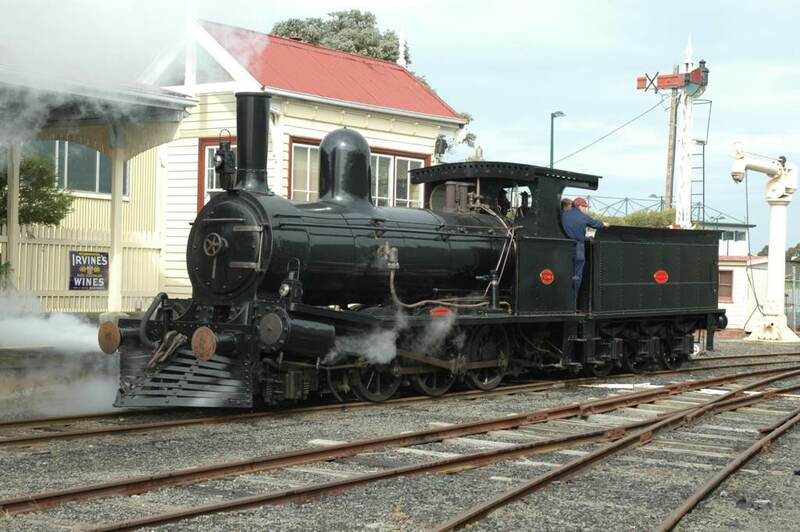 C22 was restored to working order in 1983 for use at the Tasmanian Transport Museum at Glenorchy, Hobart. My visit to the TTM on 30 April 2003 found C22 to be under overhaul with the boiler removed from the frames. Repairs have since been completed and C22 was officially relaunched in April 2010. A complete history of the TGR C-class and this locomotive is provided in the exhibit guide book "Locomotives of the Tasmanian Transport Museum". 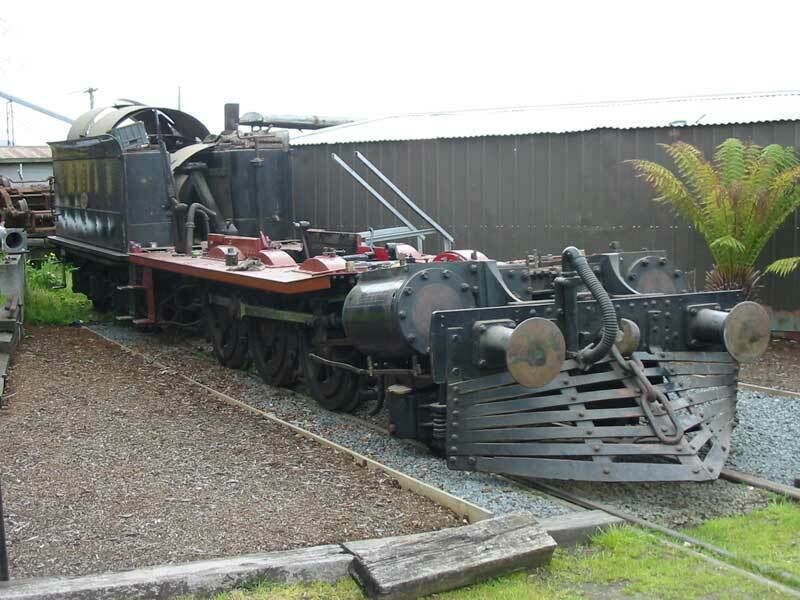 Your webmaster considers the TTM a fine museum with a variety of well restored railway, tramway and road exhibits, and thoroughly recommends a visit! This photo of 30 April 2003 shows the frame of C22 under overhaul at Glenorchy. published by the Tasmanian Transport Museum Society, October 1991.